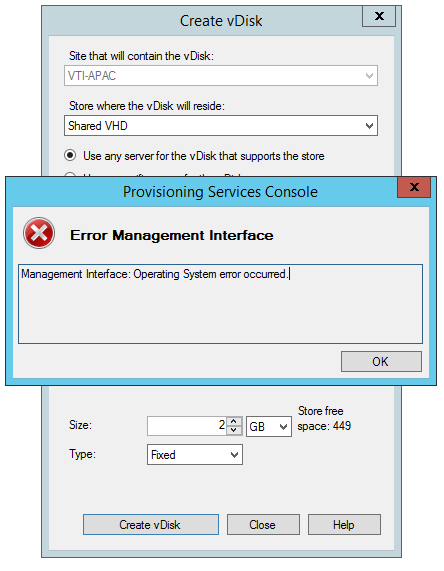 I’ve promised to write a full-blown article dedicated on troubleshooting Provisioning Services retries, but while that’s in the works I’ll share with you all a solution to an issue that I came across in a recent implementation of XenDesktop/PVS with VMware ESXi on Cisco UCS hardware. I’m sure most of you that work with PVS on a daily basis have seen at least some retries in your environment. While a certain amount (0-100) can be deemed acceptable, anything that’s above that count is a cause of concern. As a quick refresher, let’s remind ourselves of what PVS retries are and why they occur. Of course, starting at the physical side and working your way up to the virtual layer is a good approach even though a lot of times the opposite occurs because your network or storage teams will want hard evidence that it’s not your system that’s at fault until they get involved. I recommend involving them from the very beginning and while you are looking at your PVS configuration, they can start investigating routers, switches, cables, storage arrays, and other equipment (it could be something as simple as a malfunctioning switch port or outdated firmware or even a misconfiguration on the VMware vSwitch and the NIC teaming settings). 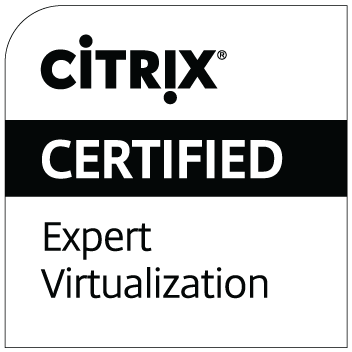 In this particular case, though, everything was configured correctly both on the Citrix side (2 PVS servers on Windows 2012 R2 and 100 Windows 7 SP1 VDA targets with Citrix best practices in place across the board) and on vSphere (6 ESXi hosts in a cluster with Standard vSwitches and virtual adapters dedicated to the PVS traffic). We even checked the firmware in UCS which was slightly out-of-date but updating it didn’t help either. As always, any questions or feedback are welcome in the comments section. I hope this helps those of you who are experiencing this issue or just want to be proactive about it! I haven’t posted anything in such a long time mainly because I’ve been so busy with my new role as Consulting Architect and all the cool things I’m learning in the field. Anyway, the PVS Guy is NOT dead. In fact, he is more alive than ever 🙂 – and I am planning to revive the website starting NOW. I am launching a new category called XenDesktop to share some tips & tricks from my VDI projects. InternalErrorMessage : Either the account is not granted sufficient privilege or disabled or username/password is incorrect Either the account is not granted sufficient privilege or disabled or username/password is incorrect Permission to perform this operation was denied. For a full list of VMware service account permissions for XenDesktop, click HERE for 7.x and HERE for 4.x and 5.x. Hotfix PVS710TargetDeviceWX64002 is the most recent patch for your provisioned images and it contains a fix for a known BSOD on CFsDep2.sys as well a NIC teaming enhancement for HP Moonshot Broadcom NICs. It also replaces the previous public target-side release (PVS710TargetDeviceWX64001) which has the important “Cache on device RAM with overflow on HD” fix that enables the RAM portion. Get it here. Today we are going to talk about permissions in PVS and why it is important for the Soap service user to be a member of Local Administrators on your Provisioning Servers. For the most part in PVS you can get by with just letting the Configuration Wizard do its thing during initial setup. It enables the different services that make the PVS functionality possible (Soap, Stream, etc.) and turns on the necessary permissions on the database. For KMS, however, every time you switch modes from Private to Standard and select Key Management Service on the vDisk, PVS performs a volume operation on the server that requires elevated privileges, specifically the ability to perform volume maintenance tasks and if you are running Soap/Stream under, say, Network Service or a custom=made account, it will likely lack those rights. While there is a GPO that you can enable called “Perform Volume Maintenance Tasks” under \Computer Configuration\Windows Settings\Security Settings\Local Policies\User Rights Assignment\ in GPEDIT.msc and add your account to the member list, you will definitely be better off just adding Soap user to the Local Administrators group on all Provisioning Servers in the farm. You will save yourself a lot of headaches down the road – permissions are always tricky!